6oz. (175ml.) Part of the Natural collection of tea ware. 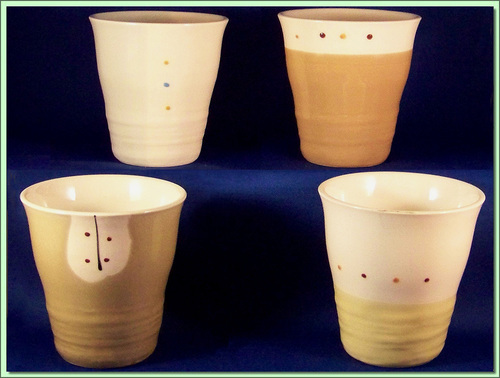 These four cups depict the four seasons in abstract geometric patterns on earthy backgrounds.